We here at Cocktails, 365 are thrilled to announce the partnership between Kansas Clean Distilled Spirit Whiskey and the Depot Theater Company in Dodge City, Kansas! The Depot Theater opened William Inge’s Bus Stop earlier this month. The play is set in 1950s eastern Kansas, was written by a Kansas native, and is being produced by a Kansas theater with Kansas actors! We figured it was a perfect storm to bring in Kansas Whiskey and create a unique cocktail that was featured during the 10-show run throughout February! 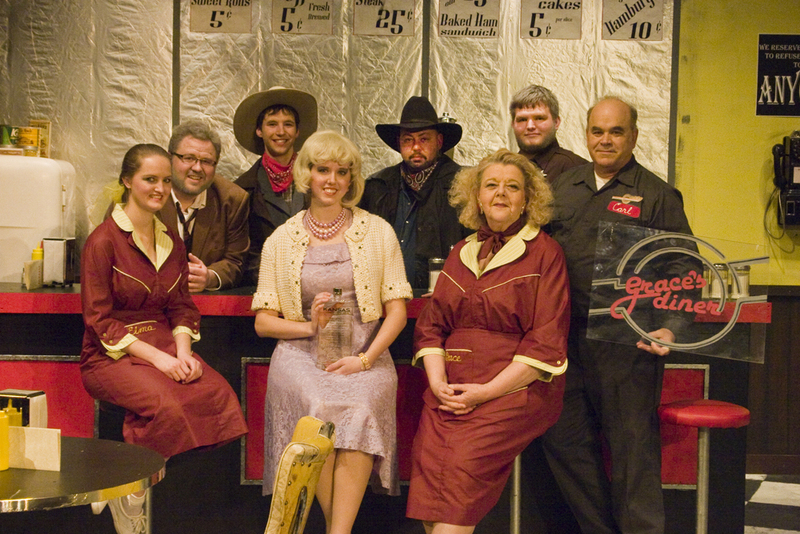 The Depot Theater Company is the premiere live-entertainment venue in southwest Kansas, producing Broadway-caliber productions on the lonely western Kansas plains. It’s the theater’s reputation for a cultural diamond in the rough that attracted Cocktails, 365 and Kansas Whiskey to the partnership. Mark Vierthaler, founder of Cocktails, 365, along with Roseanne Sessa of Savvy Drinks and Chris Sida of CSM Beverages worked together to the bring the unique taste of Kansas to Dodge City theater goers. 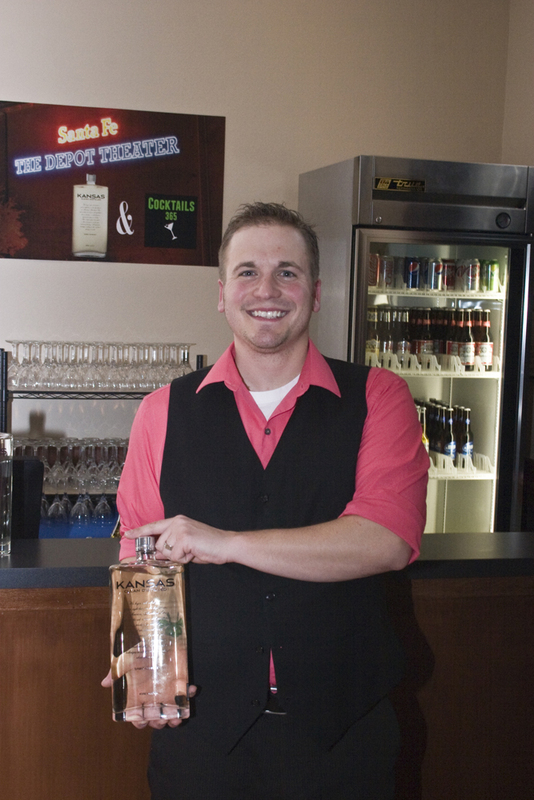 The unique cocktail was created especially for the production of Bus Stop, and was only available to those who stopped by the theater’s bar. Cocktails, 365 founder Mark Vierthaler. Fill a rocks glass completely to the top with cubed ice. Pour in the Kansas, lemon syrup, and sweet vermouth. Stir gently for 10 to 20 seconds. 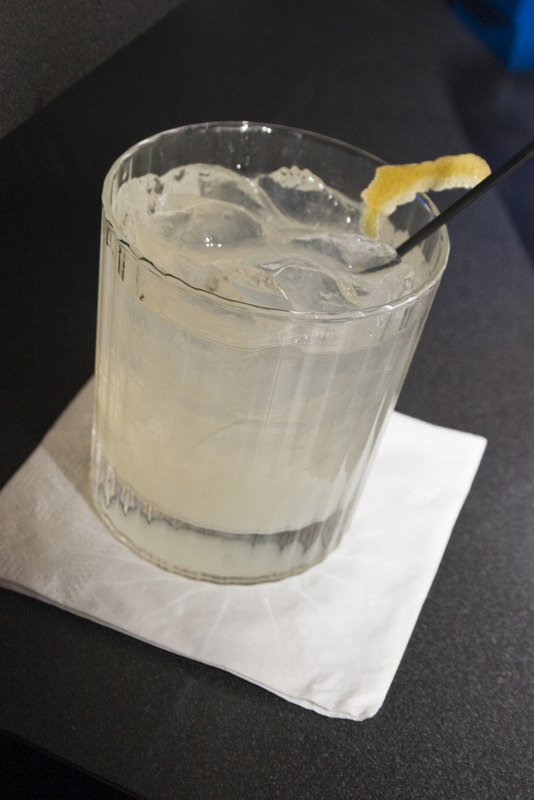 Top with the Limonata and then garnish with a candied lemon rind. An excellent time was had by all who attended, the cocktail proved to be the most popular drink. 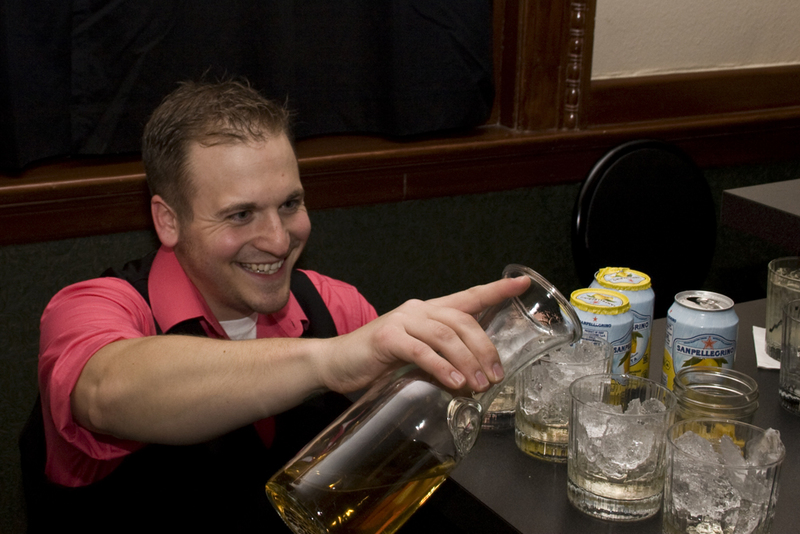 A happy shock to click into this piece and see a big photo of that luscious Bar Manager. Where’d ya’ get HIM? And “perfect storm,” eh? Turned out it WAS.